Biking season lasts all year in Fairhaven, but the Fairhaven Bikeway Committee kicks off each spring with an Earth Day Bike Path Cleanup event that, in 2016, drew more people than ever. 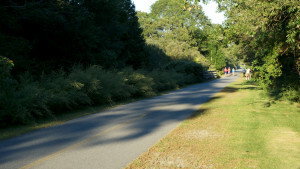 This year’s event also included the beginning of our path beautification project. With help from volunteers, the Lion’s Club and Louise Barteau, we began removing invasive plants along the Little Bay extension and planting native species that attract migrating birds and butterflies. 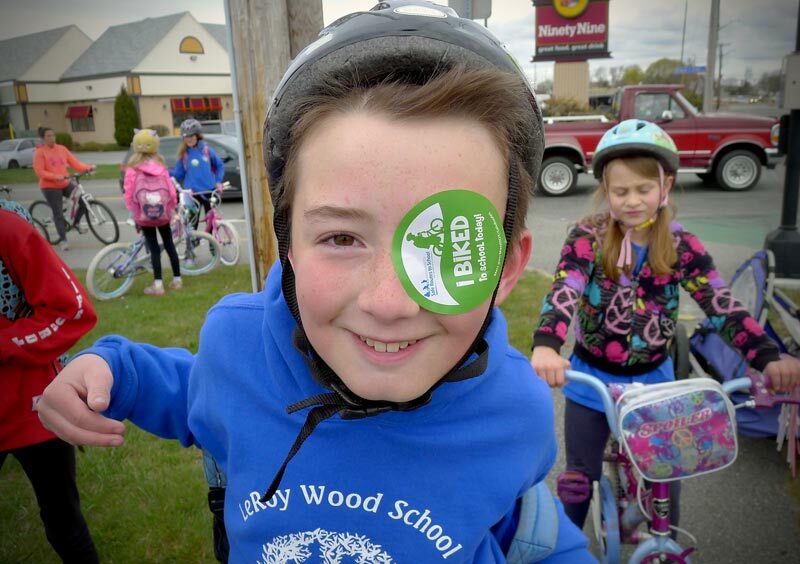 At the end of the school year in June, the Leroy Wood School was presented with the MassDOT Safe Routes to School program’s ‘Biking All-Star’ Award in recognition of our Bike Bus program now in its fourth year. The committee chair, along with award recipients from around the state met at the State House in Boston to discuss the importance of Safe Routes to every school. This summer saw thousands of miles logged on the Phoenix Bike Path and all around the scenic roads of Fairhaven. Our beautiful bike-able town attracts many visitors and keeps them coming back. Our first Pedal ’n Putt mini-golf fundraiser was a huge success. Families rode to the event on the bike path and enjoyed a round of golf and some ice cream while helping the Fairhaven Bikeway Committee’s mission. We use these funds to assist our programs like the Wood School Bike Bus and our bike rack program. Finally, this fall, beautiful new bike racks were installed at the Town Hall. The hitching-post style racks are in keeping with the history of the property and are already well-used. Thanks to the Community Preservation Committee, Town Meeting, the Historical Commission and the Department of Public works for their assistance in completing this project. We look forward to another successful year of cycling with you all. 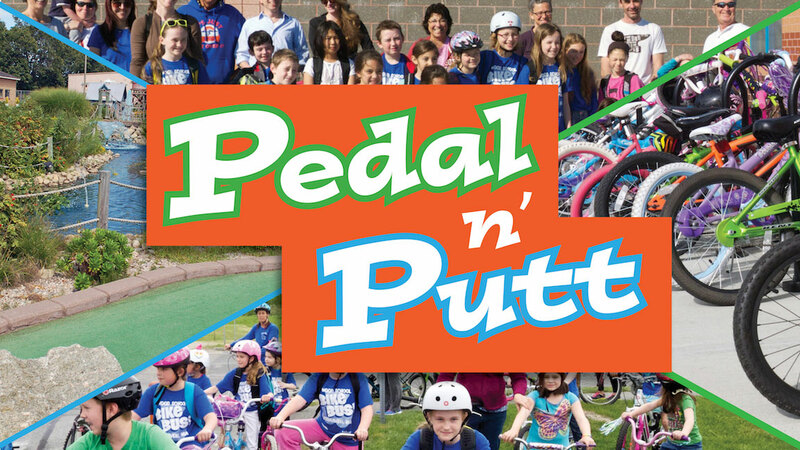 Come to Pedal n’ Putt 2016! We’re having our first summer fundraiser on August 21st! You can ride your bike right to the Pedal n’ Putt Bike Party at Cap’n Barnacles Mini Golf in Fairhaven. Proceeds benefit the award winning work that the Fairhaven Bikeway Committee is doing to make our streets safe for everyone! VIP Bicycle Parking, Mini Golf, Ice Cream and activities for all! Planning a group ride? Group packs are available. Reserve your tickets now–space is limited! Thank you to Fairhaven’s Town Meeting members. Our Bike Rack proposal was approved and we should have new bike racks at our historic Town Hall this summer! 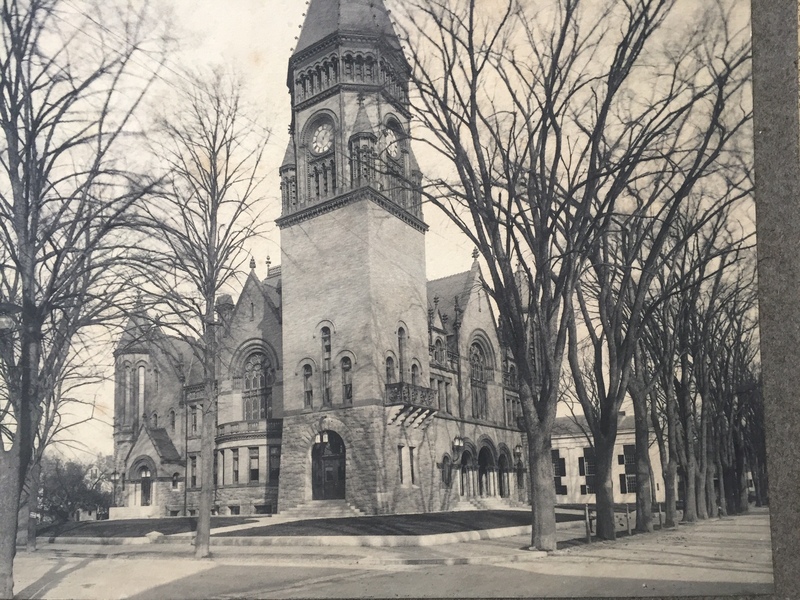 In addition to the Town Meeting members, we’d also like to thank the Fairhaven’s Community Preservation Committee, the Historic Commission, Town Planner Bill Roth, the Board of Selectmen and Tree Warden Brian Bowcock. The Fairhaven Bikeway Committee continues to improve the experience of cyclists and pedestrians on our paths, roadways and sidewalks. Many of our events are becoming annual traditions for families, local riders and visitors. Spring starts with the Earth Day cleanup in April followed by Bay State Bike Week activities like our group rides exploring the Phoenix Bike Path and local roads. 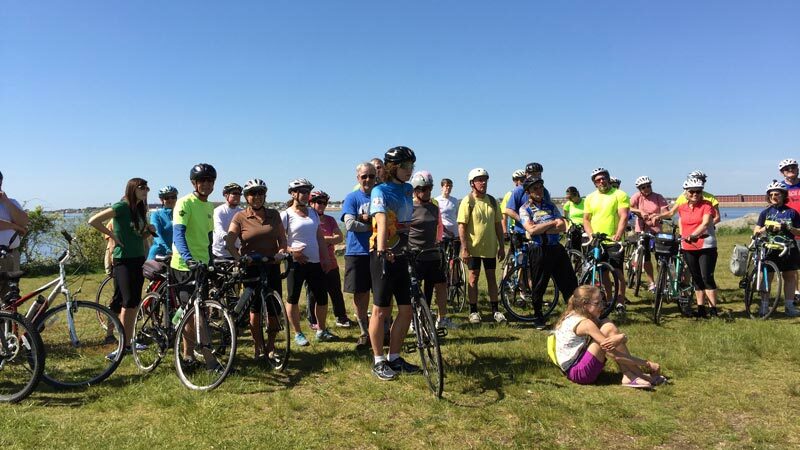 The annual fundraiser, weekly group rides and community events round out the schedule. This past year saw the installation of rider activated crossing beacons at the path crossing Sconticut Neck Road. Along with previous improvements to help reduce speed along the road we are making this complex area much safer for all road users. Our Safe Routes to School program continues to draw nearly 30 riders every week in the Spring and Fall. The Wood School Bike Bus is a model for schools around the Commonwealth and is helping to build an active, healthy community of riders. Finally, we’re turning some attention back to the path and improving the view with plantings and improved signage. Thank you for your support, and we’ll look for you out on the path! The Fairhaven Bikeway Committee’s proposal to install hitching post style bike racks at the Town Hall has been approved by the Community Preservation Committee. Pending approval by Town Meeting in May, there will be safe, convenient parking for bikes in our historic town center. The Fairhaven Bikeway Committee exists to make Fairhaven a bicycle-friendly community. One important part of a bike-friendly community is secure and convenient parking accommodation. The Committee has been making an effort to increase the parking available to the growing number of cyclists in town. Last year, with the help of a SRPEDD grant we installed more than 14 racks all over town at schools, the Rec center, playgrounds, along the bike path and a number of other public locations. One spot that conspicuously lacks bike racks is Fairhaven’s historic Town Hall. With the Phoenix Bike Path and our quiet downtown streets, so many in town can safely take a bike to conduct business at Town Hall, they just need a good spot to park. The Bikeway Committee is applying for Community Preservation funding to install four hitching-post style bike racks, curbside, on the Town Hall property. The racks would be placed around the perimeter of the building; two in front on Center Street, and one on either side of the building on William and Walnut Streets. Town Hall was built pre-automobile and was surrounded by hitching posts (see attached sheet with historical photographs and details). The proposed, single pole bike racks restore the spirit of the historic hitching posts, while offering a practical modern use. The Bikeway Committee has sought and gained approval of the Board of Selectmen, and the Fairhaven Historical Commission.